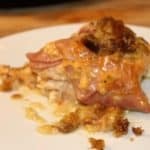 Chicken cordon bleu is a delicious meal that incorporates chicken, ham, swiss cheese, and a bread crump topping. 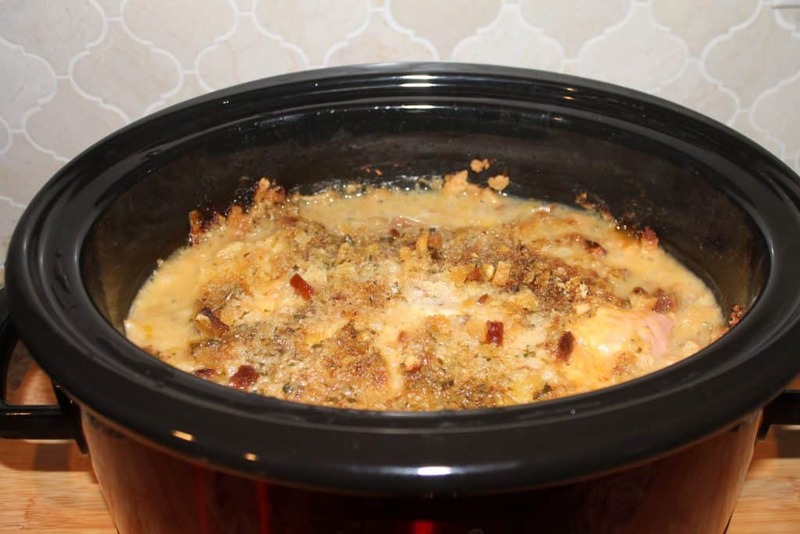 So, how do you make a chicken cordon bleu casserole in a crockpot? Well it’s actually quite simple! 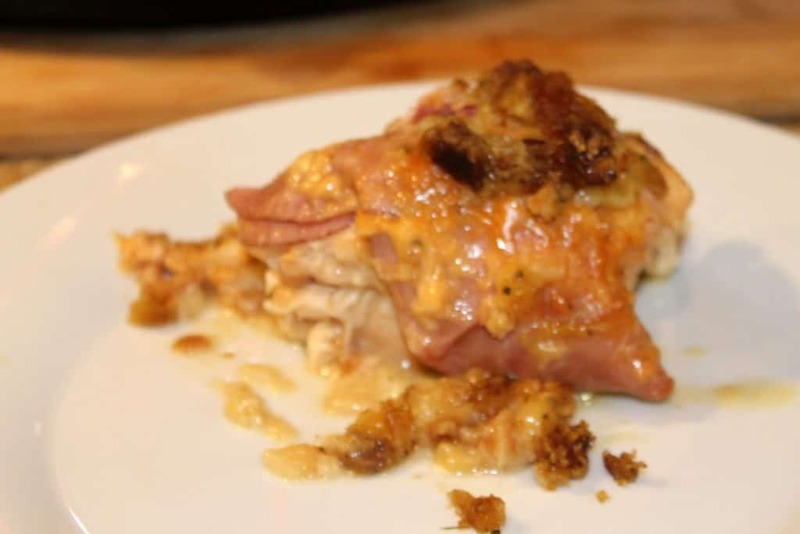 Now, the traditional chicken cordon bleu would mean rolling chicken, swiss cheese and ham up into a snug little roll. Then you would cover it in bread crumbs. 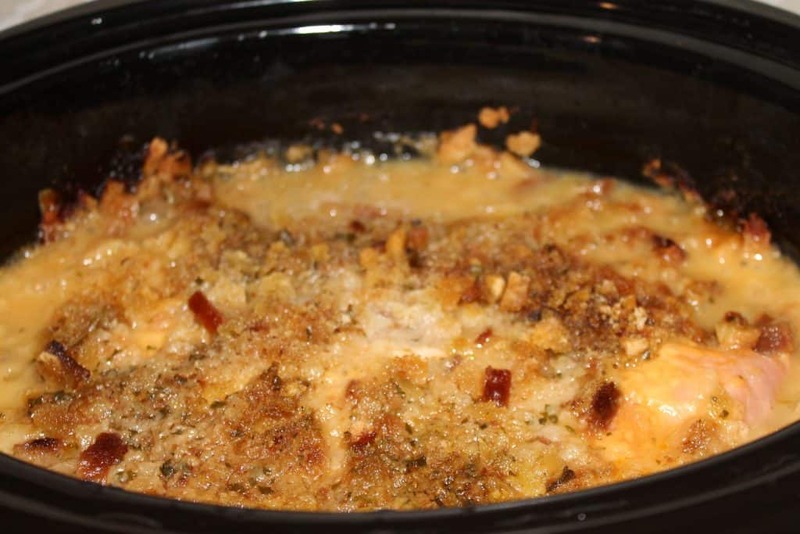 To make a casserole, you won’t have to roll anything up. 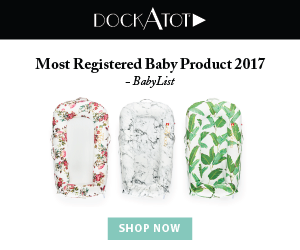 In fact, you can let your crockpot work for you! 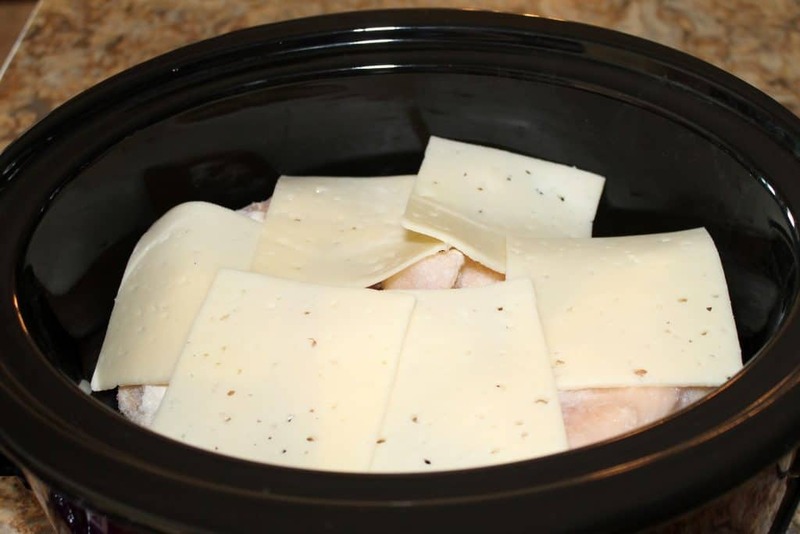 Place your chicken breasts into your crockpot first. You can use fresh or frozen! Then you will place 6 slices of swiss cheese on top of the chicken. 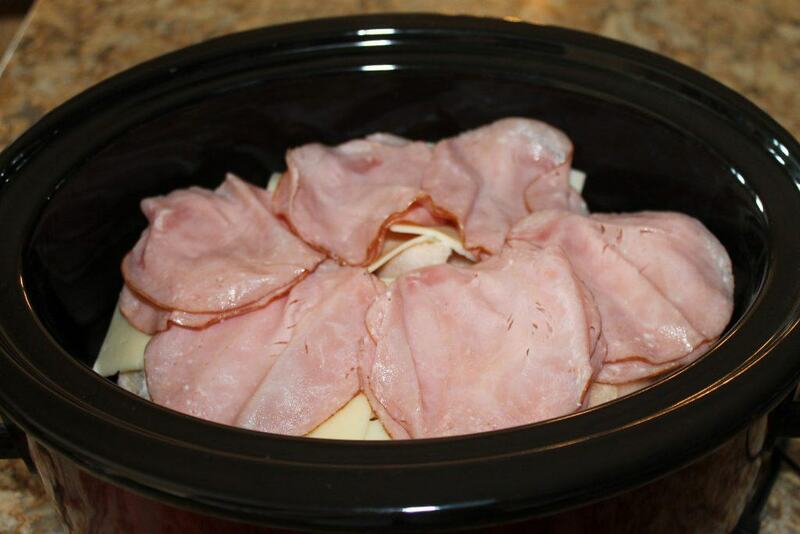 Then you will place the 12 slices of thin deli ham on top of the swiss cheese. 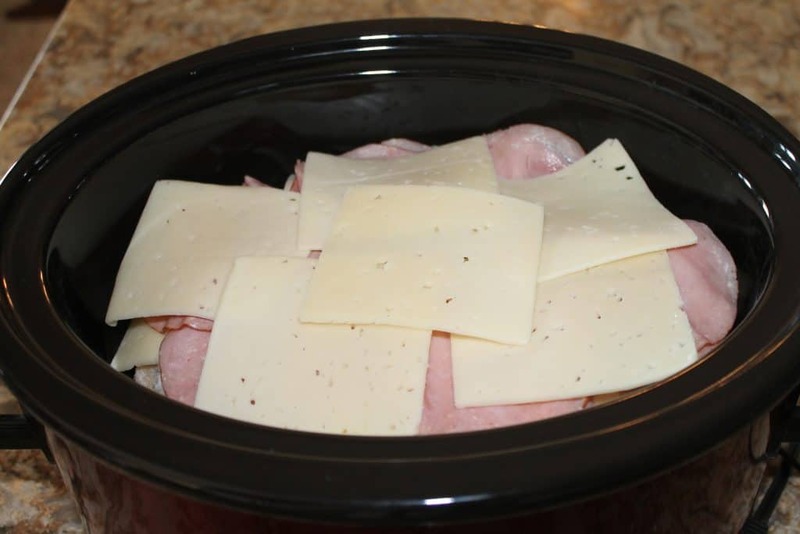 You will then add the remaining 6 slices of swiss cheese on top of the ham. You can really never have enough cheese! 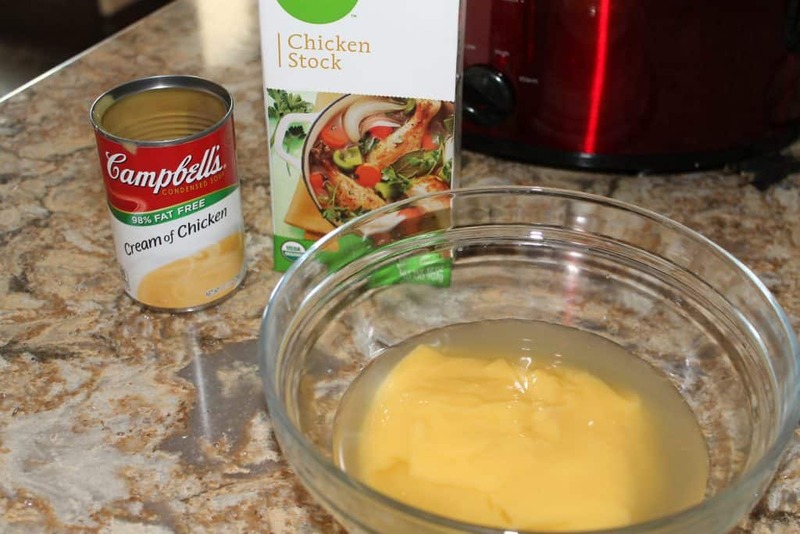 Then, in a medium bowl, combine the chicken stock or chicken broth and the cream of chicken. Mix until uniform in consistency. Then pour this over your chicken-cheese-ham. It will mostly run off into the bottom of the crockpot, but that’s okay! 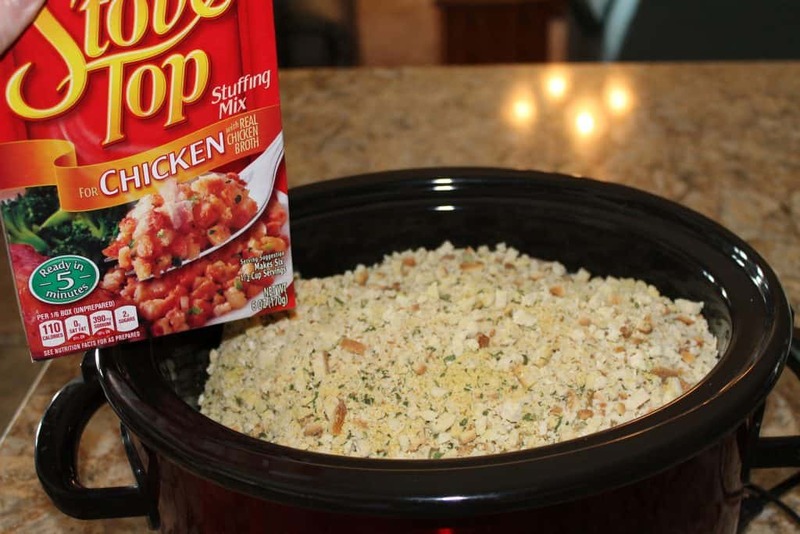 Then, pour the entire box of stuffing on top. 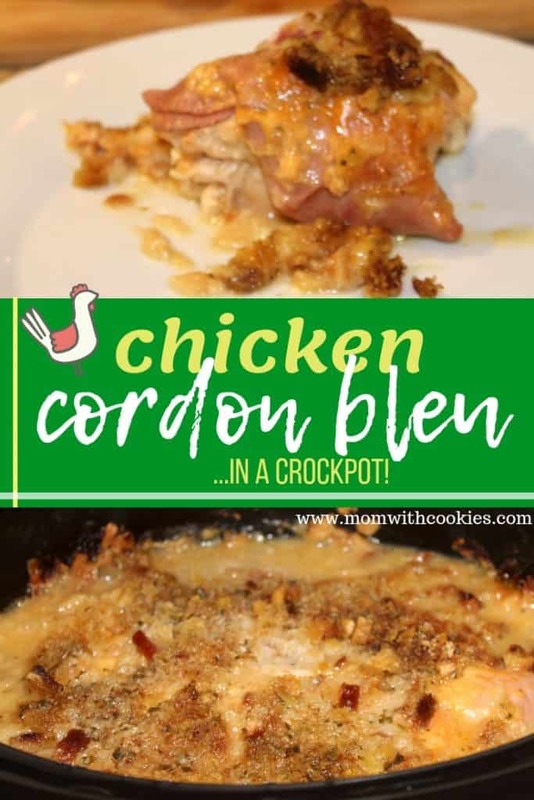 This will act as the bread crumb that chicken cordon bleu is so famous for. Finally, pour the melted butter evenly over the stuffing. Put the lid back on and cook on high for 4-6 hours or on low for 6-8 hours. 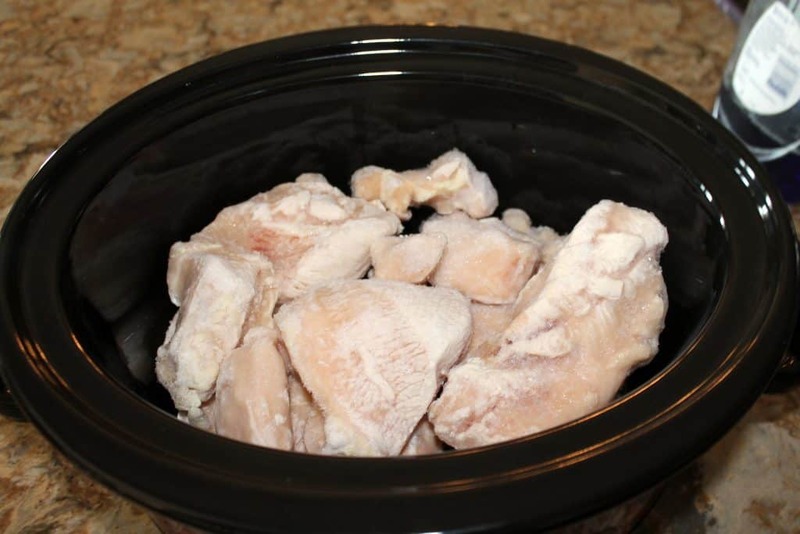 When using frozen chicken, I would recommend waiting until the 6 hours on high or 8 hours on low to ensure that the chicken is cooked thoroughly. Always double check with a meat thermometer, as it should read at least 165 degrees Fahrenheit when you test the chicken. 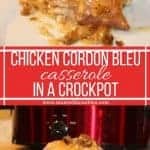 This chicken cordon bleu casserole is the easier version of a traditional chicken cordon blue. 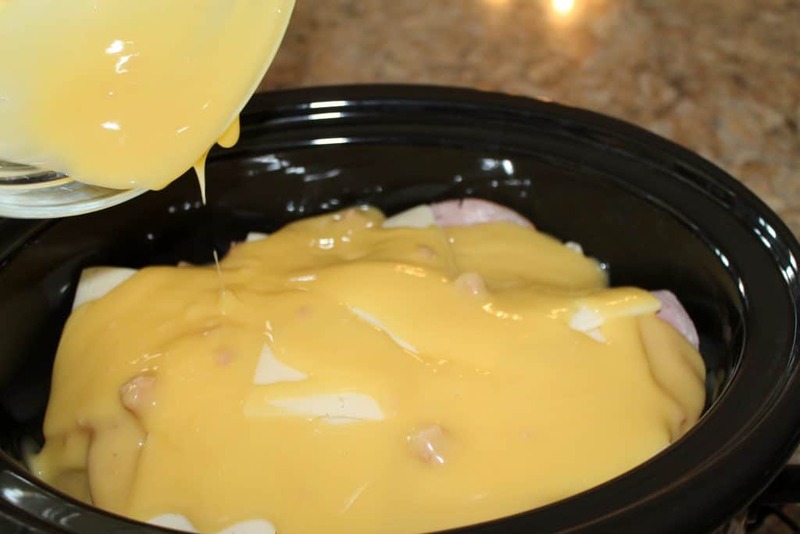 What's also great is that you can cook it in a crockpot! Then you will place 6 slices of swiss cheese on top of the chicken. Then you will place the 12 slices of thin deli ham on top of the swiss cheese. 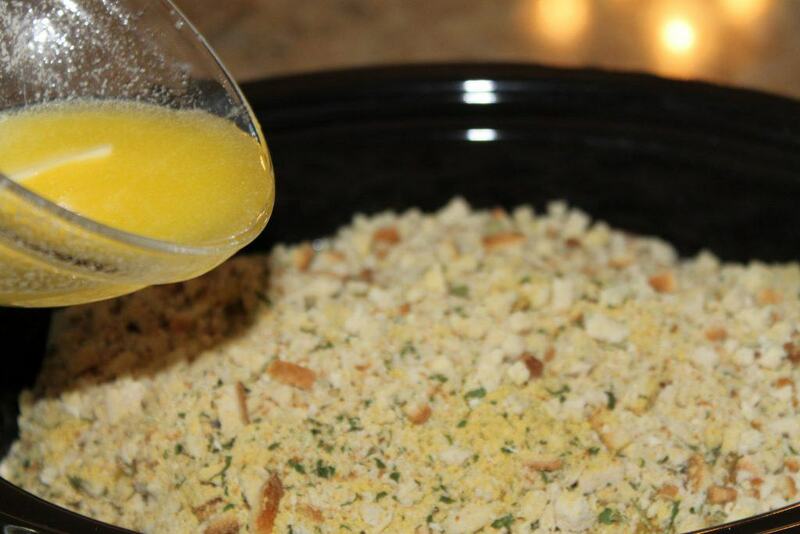 Then, in a medium bowl, combine the chicken stock or chicken broth and the cream of chicken. Mix until uniform in consistency. Then pour this over your chicken-cheese-ham. It will mostly run off into the bottom of the crockpot, but that's okay! Finally, pour the melted butter evenly over the stuffing. Put the lid back on and cook on high for 4-6 hours or on low for 6-8 hours. When using frozen chicken, I would reccommmend waiting until the 6 hours on high or 8 hours on low to ensure that the chicken is cooked thoroughly. Always double check with a meat thermometer, as it should read at least 165 degrees Fahrenheit when you test the chicken.